Anthony Daly's Clare improved on their narrow win over Laois last weekend, as goals from Tony Carmody and Diarmuid McMahon helped see off Dublin 2-19 to 0-14 in the Allianz NHL Division 1A. 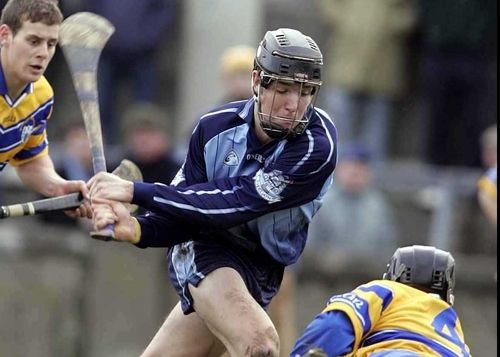 The Banner men were always in control at Parnell Park, with Carmody hitting Gary Maguire's net on 15 minutes from the rebound of a Tony Griffin shot. The home side rallied well though to trail 1-09 to 0-08 at the break, with new captain David Curtin hitting six frees and Emmett Carroll latching on a late brace. Niall Gilligan, Carmody and Griffin were Clare's top scorers and it was more of the same from the Munster men in the second half. On 38 minutes McMahon breached a loose Dublin rearguard to drive a low hard shot beyond Maguire. Points from Lynch, Carmody and Griffin again helped them into a 2-14 to 0-09 lead with 18 minutes remaining. Curtin did his best for the Dubs, running up his tally to 0-09 but the damage was already done. for Sweeney, T McGrain for R Brennan. Subs used: C Forde for Hoey, J Clancy for Gilligan, K Kennedy for Harrison, B Quinn for Plunkett (yellow card), A Quinn for G Quinn.